Hurray! I got my PCBs via DHL this morning. So happy to receive them and hold in my hand my first professionally made PCB. Buzzing along my electronics wave, hot off the success of my nixie tube clock, and dummy load projects, I looked at what else I had going on and found that several of them were in need of panel meters, something I’ve had a really hard time finding at a decent price. You’d figure in this day and age they’d be easier to acquire, not harder. 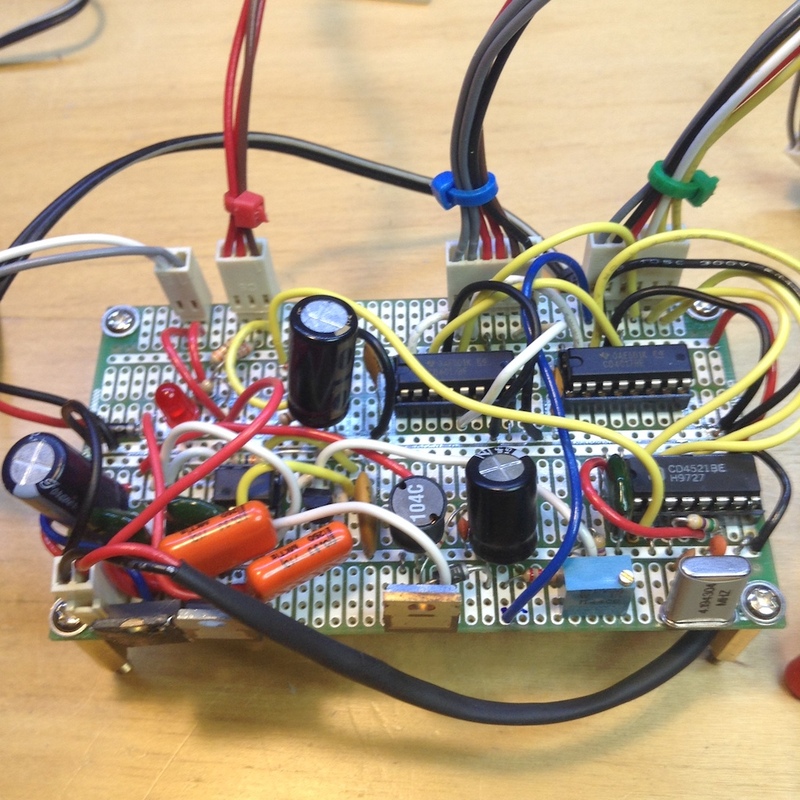 Anyway, so I dug up my original idea of using an ICL7107 based 7-segment panel meter. I always loved this idea, mainly because I love meters but in particular I love LED 7-seg displays over LCD just for readability and sheer cool factor. 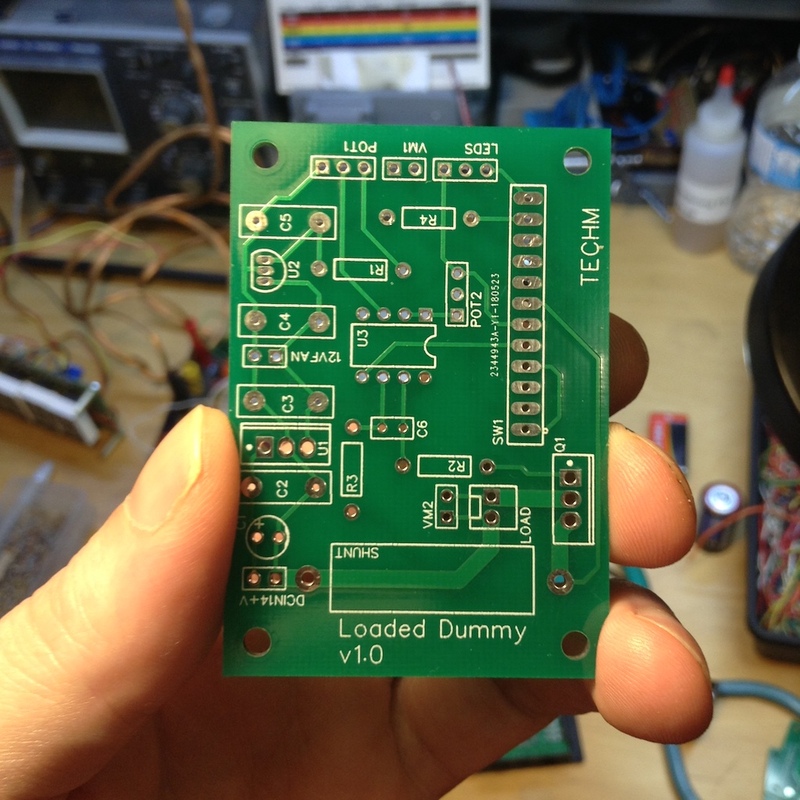 Well after humming and hawing, I finally just pushed the button on the dummy load project and ordered the PCBs from JLCPCB (via EasyEDA). I figured I can’t go too wrong, it seems most electronics youtubers seem to like it fine. 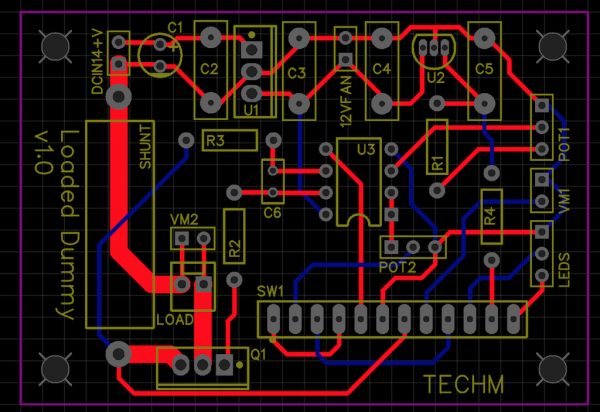 I think the only thing that could go wrong is I made some mistake on the PCB layout, though I did check it over three times. You never know, Murphy might show up. Still, either way it will be a learning experience and if this works out (as it likely will) I will have more boards made up. I find this all very exciting! Now that I’ve got my Nixie clock all ready to be housed in a box, and lacking said box, I figured I’d motor ahead and try to get something else going. Next on the list is the Dummy Load, which has sat on a breadboard gathering dust for 3 years now. Funny thing is, I had figured it ready for assembly, but always good to check it out and see if improvements can be made. To my surprise and delight, my design is working just fine. 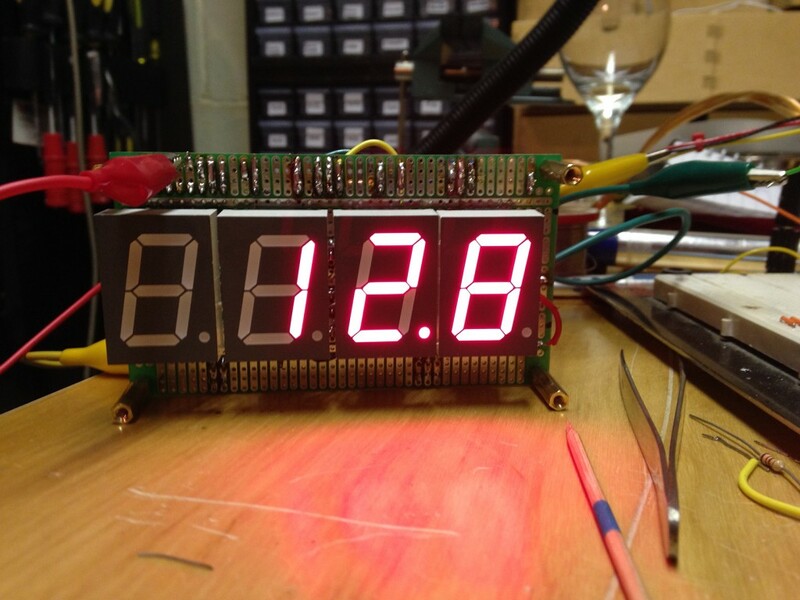 Nixie Clock circuit finally complete! Nixie clock circuitry finally complete! It may have looked like I fell off the earth, got distracted by shiny things again and dropped my electronics projects – again. Well… NOPE. I’ve been furiously, wildly and tediously soldering this beast together. Well, the first thing I learned is that building anything beyond a simple project is a right pain in the arse on these solderable prototyping boards. I do like their convenience, and previously I had assumed I would be limited to using this and other perfboard-type prototyping boards, but from here on out, I’ll be making proper PCBs. You’ll see why below. 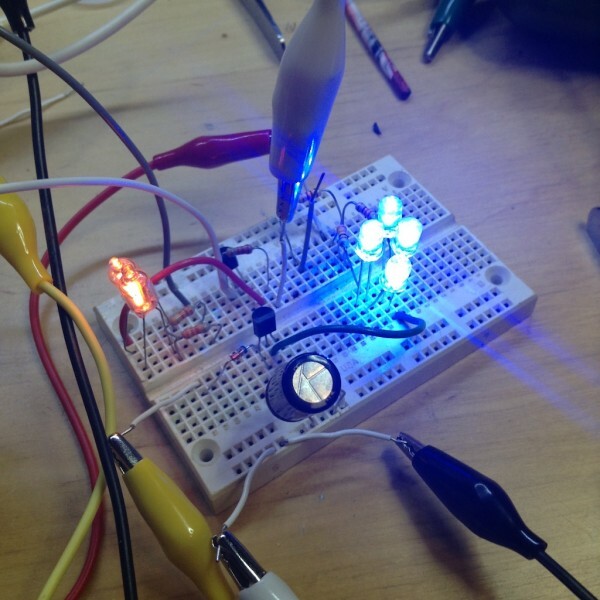 One big drawback to making your projects on perfboard or solderable breadboard or similar is the sheer number of solder joints you have to make. 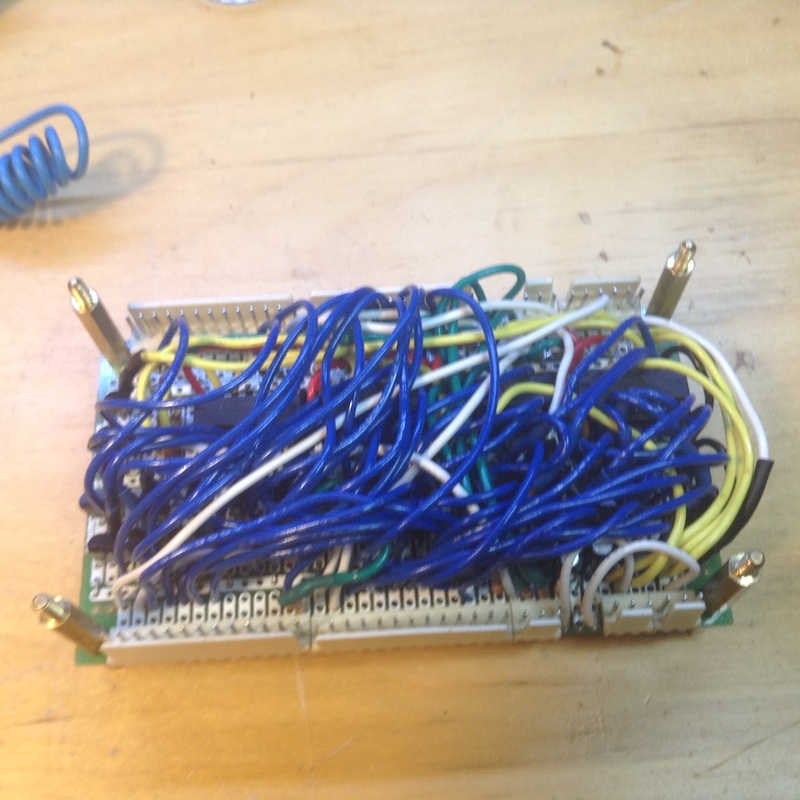 Not only do you have to seat all of your components and solder them in, but you need jumpers or longer wires to anywhere it has to connect to. This is fine for a simple design, but in this case, it got obscene on board two. This is why one should get PCBs made. This took forever. Been really trying to move along with this project, keep that wave of enthusiasm going and all that. I’m happy so say I have the first board complete! Over the last couple days, I really sat down and sorted a couple of things that were unknowns. Either I had forgotten why I designed it that way on the schematic or had only roughly figured it out in the first place. One was the flashing LEDs from the last post. I had subsequently tried other resistor values for different effects, but in the end stuck with the 1.5kΩ one. I did like the blanking and hopefully it will be a nice effect once i have it all assembled. I can always change the resistor later if I wish. I’m trying to keep going and have some bench time every day to keep things going. So far, so good. I figured the next bit to sort was how to move the decorative flashy LED feature over to the 12V rail. As mentioned before, I want to keep the 5V side exclusively for the clock and digital logic so it keeps its time when I unplug it (provided I have a 9V battery in it of course).